From its higher elevation near the base of the San Jacinto Mountains, the affluent community of Little Tuscany boasts stunning views of a sandy desert skyline and the city of Palm Springs nestled in the valley below. The Little Tuscany real estate market consists of 47 luxury properties. Each one of these lavish homes offers the finest in luxury living. Buyers will find that when these prestigious homes become available, they boast backyard swimming pools, private tennis courts, and custom features as unique as the original owners themselves. Located on large, private lots, these houses feel isolated from the buzz of the urban center, however, they are only five minutes from the heart of Palm Springs where residents will find a mixture of charming cafés, art galleries, bars, locally sourced restaurants, and more. Continue down the page to browse active Little Tuscany homes for sale, or find more information about the unique range of amenities in this Palm Springs community. Sign up now to unlock our full roster of Palm Springs real estate listings. You'll have the freedom to create custom searches that help you narrow your house hunt down to the properties that matter. A neighborhood inspired by the desert landscape around it, buyers will find that many of the houses in this community incorporate the large boulders characteristic of the local geography into their homes and yards. Impressive boulders can be found grouped into unique privacy fences. Other homes have exteriors made of stone so that they seem to have sprung up from the ground as they are perfectly suited to their surroundings. The majority of these houses were built in the 1950s and 1960s by celebrities who were escaping the buzz of Los Angeles in favor for a relaxing weekend getaway in a rural desert paradise. As such, many of these houses feature the finest luxury finishes, and each one was custom built to reflect the passions and personal tastes of the original owner. Over the years, figures such as Elvis Presley, Robert Young, Frederick Loewe, and Marcus Welby have made this community their home. With all the luxuries and appeal of a resort, these houses fetch a premium price on the Palm Springs real estate market. In fact, the value of Little Tuscany real estate ranges from just below a million dollars to well over three million dollars for some of the most prestigious houses in this community. Part of the appeal of this fantastic neighborhood is the fact that these estates are often situated on lots that measure an acre or more. Surrounded by stoic privacy walls and acres of undeveloped desert, buyers will find that these rural properties offer resort-level comfort with country-style privacy. When it comes to architecture, buyers will find a mixture of mid-century modern mansions, Spanish-style haciendas, Mediterranean estates, and ultra-modern marvels. Inside, many of these houses unfold over thousands of square feet. Some boast historic interiors that have been lovingly restored to their full glory while others embody the latest finishes, styles, and conveniences. No matter what your tastes, you'll have no trouble finding a luxury estate that fits your lifestyle in Little Tuscany. Although Little Tuscany homes for sale belong to a rural and private area, those who live in the area will find that they are only five minutes from the heart of downtown fun and recreation. Along Palm Canyon Drive, residents can dine at one of the many fine restaurants in the city. Cheeky's boasts a killer range of breakfast dishes and a bacon flight that allows patrons to sample a variety of cured meats. The Purple Palm Restaurant dates back to the Prohibition years and offers a great selection of cocktails. Downtown is also where art collectors will find some of Palm Springs' finest galleries. With a range of bars, night clubs, and casinos in the area as well, residents will find no shortage of ways to enjoy their free time. Those who love to immerse themselves in the natural beauty of the desert will find that Little Tuscany real estate is in a prime location for hiking and taking a scenic drive along Tram Way to the peak of the San Jacinto Mountains. A number of hikes crisscross the base of the mountain, and those who venture higher up to Mount San Jacinto Park will find that there are several state-maintained parks where hikers can enjoy the sunshine, explore the trails, and absorb the incredible views from these vantages. To schedule a viewing of a promising property, get in touch with me. 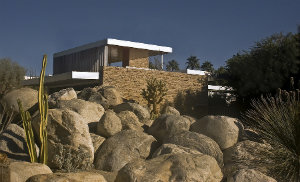 As a licensed Palm Springs REALTOR®, I can guide you through a successful home buying experience.